Looking for something fun and new to try? 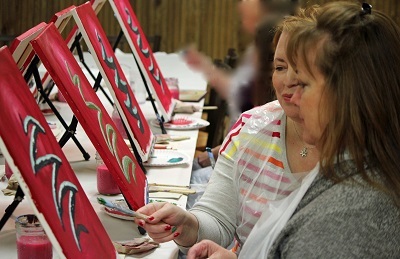 Inspired Parties offers Wine & Paint style classes; a unique, creative activity for friends and family! Absolutely no experience or artistic abilities needed...you get to create your very own painting while you're guided step-by-step, and can take it home with you the same day! It's a must-try activity that you'll want to do over and over! 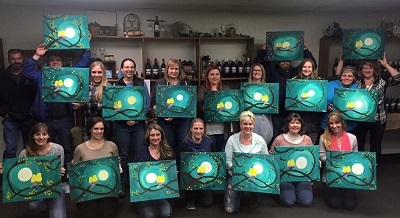 We offer painting parties that are fun for everyone! 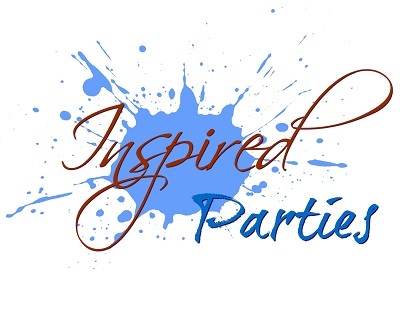 Inspired Parties offers public events every month at local businesses near you! 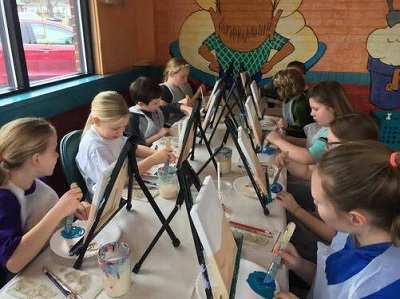 Some of our themed classes include Wine & Paint, Mom & Me, Cocktails & Canvas, and Cupcakes & Canvas. For a list of current public classes, or to order tickets, please check out our Facebook page. Inspired Parties also offers services for private painting parties, with the venue and painting subject of your choice! Are you a local business, looking for a way to bring in some new customers? Consider partnering with Inspired Parties by hosting a painting event! It's a great way to bring in new business and offer your services! Inspired Parties strives to make each event affordable for everyone. Ticket prices for public events range from about $30-$40, depending on the location and what is included in the ticket. Each ticket includes all supplies needed (brushes, paint, canvas, easel, and apron) and thorough instruction on how to create the painting. Looking for a painting party personalized to fit your style? 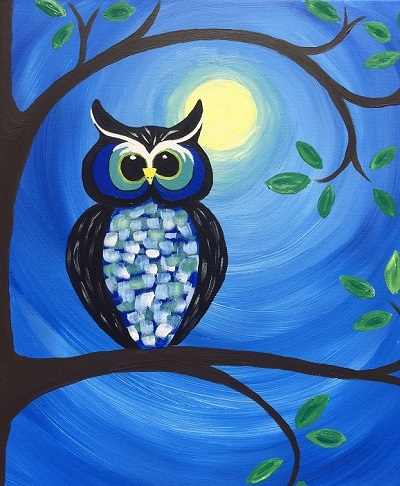 With a private party, you get to choose your own location, painting subject, and party theme! Popular party themes include birthday parties, bachelorette parties, girls night out, family reunions, women's retreat, church groups, corporate team building events, and more! Just provide whatever snacks and beverages your guests will love! Adult Private Parties are $30 per person (4 person minimum), which includes 16"x20" canvases and all supplies needed. We can accommodate up to 40 guests! Children's Parties (ages 12 & under) are $20 per child (5 children or $100 minimum) and include 8"x10" canvases and all supplies needed. Adult & Child Parties (Mom & Me) are $45 per mom and child, which includes a 16"x20" and an 8"x10" canvas per mom and child, plus all other supplies needed to paint. Minimum of 3 moms and children, or $100. For large private parties (10 or more people), a deposit (amount will be decided depending on number of guests) is required 2 weeks before the event to secure the party date. The deposit does get deducted from the total cost! To schedule a private party, give us a call, send us a Facebook message, or shoot us an email at myinspiredparty@gmail.com. Looking for a way to raise some money without selling baked goods? Have a painting party fundraiser! Great for raising money for non-profit organizations, sports teams, church and school groups, and more! It works basically the same way as a private party, although your group will keep a portion of the proceeds! You can also raise the ticket price to whichever appropriate amount you see fit, and your group will keep that amount. Inspired Parties also offers a Frequent Painter Program! For every four parties you attend, your fifth class is free! In order to use the program, you must get a Frequent Painter card started and punched at each class. Looking for a great gift? Give the gift of fun and creativity with an Inspired Party certificate! Gift certificates can be purchased for any amount, via cash, check, or credit card.